The term ‘cord cutters’ has been used for the past few years to describe a generation of consumers choosing to ditch their cable providers and make the jump to online streaming exclusively. In 2016 a new term, ‘cord nevers’, is becoming increasingly applicable to millennials who will likely never subscribe to a traditional television service. In a recent survey of over 32,000 people, it was found that roughly 18% of the population has never signed up for cable and predicted that in less than a decade half of viewers younger than 32 will not pay for a television subscription. In fact by the end of last, viewers were already watching as much video online as on television. At the same time, hours spent on YouTube increased by 44%, with a large portion of that time coming from mobile devices. So, if YouTube is the where consumers are spending their time, how can you adapt your media strategy? In this post we’ll share four techniques you can use to maximize your video’s ROI and help you rethink how YouTube fits into your media plan. People aren’t going to click on your videos so they can watch glorified infomercial. They may be willing to tolerate a tutorial style video if it offers unique advice that they won’t find elsewhere. However, the most successful YouTube videos tell an intriguing and original story that viewers haven’t seen before. When marketing on YouTube, it’s critical to understand where viewers are in your sales funnel. Trying to cold-sell to customers who ‘might’ be interested in your products can be effective in certain scenarios, but often viewers are in the discovery stage and aren’t ready to commit to a purchase. For this reason, it’s important to use relevant keywords for your videos that let your content be found by the people you want to sell to. You’ll want to consider words and phrases that are relevant to both your industry and the products you are selling. The goal of your ad should be to introduce new viewers to your product and most importantly send interested leads to your website. Once on you site it becomes much easier to share important information and convert leads to customers. While most viewers will come across your videos first, there’s a very good chance that at some point they’ll also be looking at your YouTube channel page. You can actually take advantage of those channel page views and drive traffic to your other online properties. Make sure you include links to your website and your other social profiles on your YouTube channel page and provide as much relevant information about your company as possible. 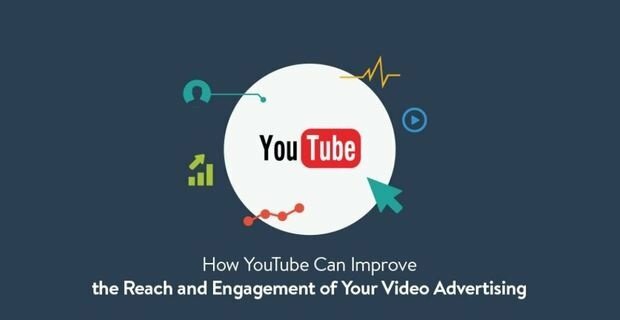 To determine which YouTube advertising and marketing strategies will work for you, it’s important to test your campaigns and collect data on what techniques are most effective. Trial and error play a key role in YouTube advertising, so take some time to brainstorm different ideas and be prepared to evaluate your campaigns using a range metrics.